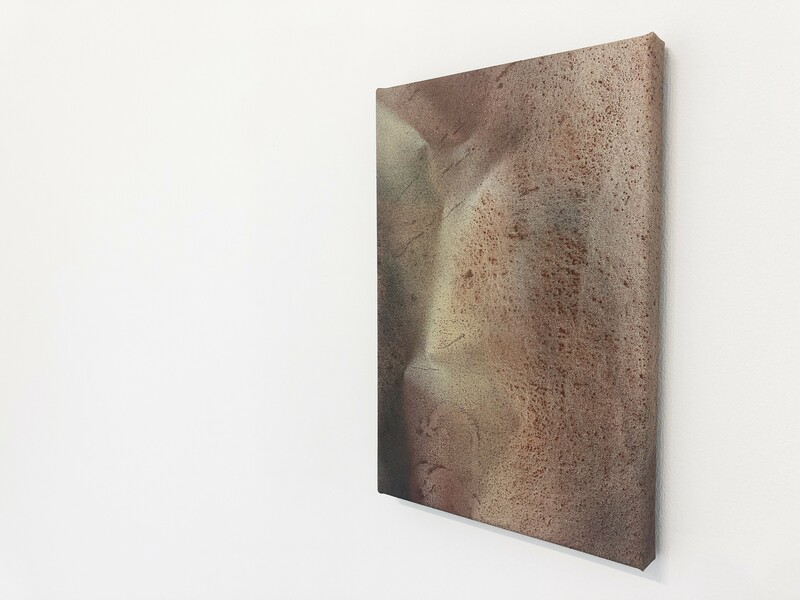 Friday to Sunday 12-6pm or by appointment. A different set of memento mori to ambition is presented in Siebert’s Losers and Playlist paintings. Again both show fleeting attempts at enbetterment. The Playlists show screen shots, rendered in oil. Playlists like this are shared on social media, in what can be seen as a way of producing a community identity or belonging: Though this is deemed to fail as the shared playlists will be in a constant flux. Your playlist could easily be trumped by any other playlist that is more in tune to the latest trends or include more ancient rarities. For the Losers series Siebert created a salon hung collection of life size and larger, cartoon like depictions of torn and spent Lottery scratchcards. Painted on canvas and found card, these images come across as modern vanitas. This is made all the more potent for artists as connection and engagement with the Lottery or Lotto can be emblematic of artistic and cultural success. Through these works we can see how Siebert has given these seemingly disposable moments of private ambition and atrophy great privilege. By depicting them not only in paint but also with music Siebert ties them to respected art traditions and history, thereby encouraging the viewer to re-evaluate the role or societal positioning of said subject. 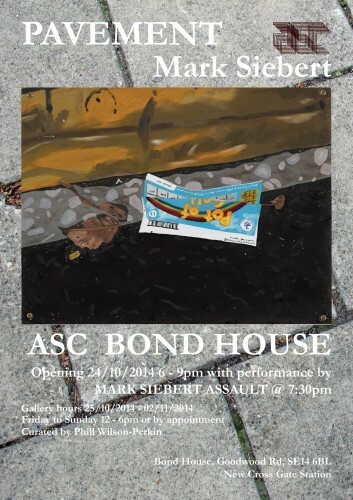 At the opening of the exhibition there will be a live performance of the Mark Siebert Assault. An ad hoc, lofi garage band fronted by Siebert will take us through their catalogue of hits. Mark Sieberts recent exhibitions include this years John Moores Painting Prize at the Walker Art Centre in Liverpool, The Losers Walking Tour, as part of the ArtLicks weekend, London , The Summer Show, The Florence Trust, London , Losers, Greenaway Art Gallery, Adelaide, Australia , Plus Art Projects, The Mayor’s Parlour, London, UK , Artworkers Open, Barbican Arts Group Trust, London  and Songzhuang Art Festival, Beijing Studio Centre, Beijing, China . Recent publication include The Art of Penmanship is Given the Last Rights, in The Advertiser, September 7, Adelaide, Losers: 2011 Annual, 24 Hours in the Sky, Poetry and Paydays, 24 Hours in the Sky. Mark Siebert was born in Adelaide, he lives and works in London.